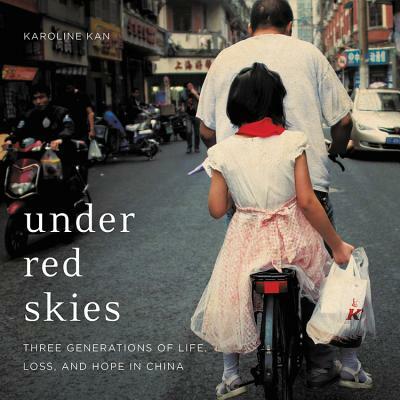 Karoline Kan, a young former reporter at the New York Times in Beijing, offers a deeply personal and shocking look at how China is coming to terms with its conflicted, troubled, and impoverished past as it emerges into a modern, cutting-edge superpower. Through the stories of three generations of women in her family, Karoline reveals how they navigate change and survival, moving from rural villages to vibrant towns and through the urban streets of Beijing.Candid, enlightening, and at times humorous, Karoline offers gripping tales of her grandmother, who struggled to make a way for her family during the Great Famine; her mother, who defied the one-child policy by giving birth to Karoline; her cousin, a shoe factory worker scraping by on 6 yuan (88 cents) per hour; and herself, as an ambitious millennial striving to find a job and love during a time rife with bewildering social change.Under Red Skies is an engaging eyewitness account and Karoline's quest to understand the shifting sands of China. It is the first English-language memoir from a Chinese millennial to be published in America, and a fascinating portrait of a hidden world, written from the perspective of those who live there.